Tricera Capital purchased the McCrory building at 433 Central Avenue. Last week a Miami real estate investment group closed on the purchase of Downtown St. Pete’s historic McCrory Building at 433 Central Avenue. The sale, which is one of many recent transactions in the immediate area, sold to Tricera Capital for just under $6 million. The sale represents the ninth acquisition for the group in the greater downtown area. In addition to 433 Central Avenue, Tricera also owns 658-670 Central Avenue which houses restaurants such as Pacific Counter, Maple Street Biscuit Company, and Brass Bowl & Juicery as well as the Furnish Me Vintage building at 1246 Central Avenue. The group’s St. Pete holdings are primarily focused on the Central Avenue corridor in the Central Arts District, EDGE District, and Grand Central District. 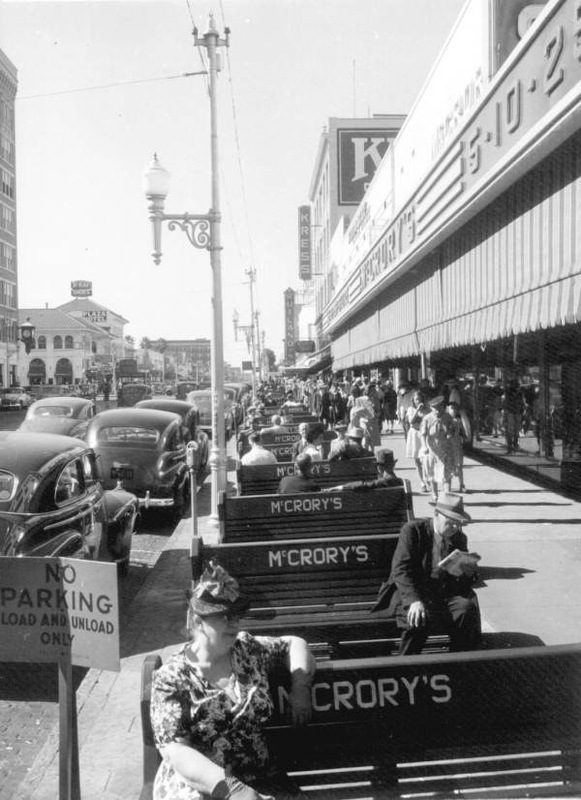 Built in 1904, the McCrory Building served as the backdrop for many historic photos of St. Pete’s iconic green benches. The building’s current tenants include Pin Wok & Bowl, La V Vietnamese Fusion, and Luna Loca in the ground floor and the Rising Tide Innovation Center in the 2nd floor office space. The 400 block of Central Avenue and the surrounding area has seen increased investment activity in recent years. Last month, St. Pete Rising reported that a Boston based developer is under contract to purchase land on the north side of the block for $5.3 million. That developer is planning to build a 25-story tower that will include public parking, office space, ground-level retail, and a residential component. Red Apple Group is proposing a 50-story mixed-use tower across the street from the McCrory building. In 2017, Red Apple Group, a New York development group, acquired two properties on the block including the neighboring Florida Arcade building at 449 Central Avenue, which sold for $2.6 million, and the entire south side of 400 Central Avenue, which sold for $16.5 million. That block is the site of a proposed 50-story tower which will feature 325 residential units, a 200+ room Marriott Autograph hotel, and ground-level retail. What’s unique about the sale of 433 Central Avenue is that it was an off-market transaction. The sellers of the building weren’t actively seeking a buyer. Instead they were matched with a buyer that gave an offer the current owners couldn’t resist. 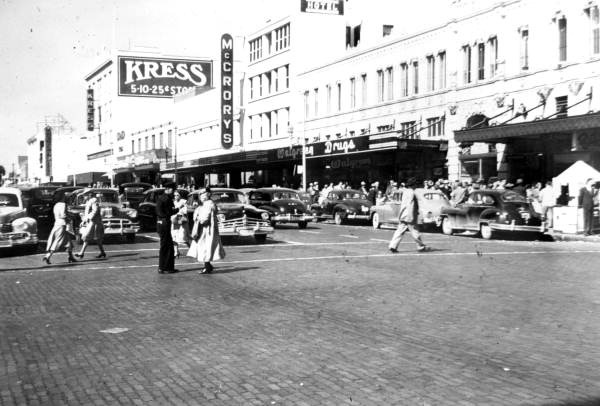 The 400 block of Central Avenue and the surrounding area has seen increased investment activity in recent years. The McCrory building at 433 Central is outlined in red with nearby sales that have occurred within the last three years. Jake Wollman, of KW Commercial, who represented the seller in the transaction says, “In this seller's market, we are seeing the astute investor being able to capitalize on off-market opportunities by being decisive, and more importantly, creative. This deal was not driven by cap rates but rather a desire to take a special piece of St. Pete and make it much cooler while at the same time preserving its history.” Jon Reno LaBudde, also of KW Commercial, represented the buyer. The sales reflects the continued investor confidence in the Downtown St. Pete market which has seen a boom of new multifamily apartment and condominium development in recent years. According to data compiled by St. Pete Rising, there are nearly 4,900 apartments and over 900 condominiums that are either proposed, under construction, or have been completed in Downtown St. Pete since 2014.